Style for the trendy, ambitious, and free spirited. If you like it wear it. Be unique, and, most importantly, be you. Follow us on instgram @shopluckycharlie or find us inside Blue Boutique located in Washington, IL. 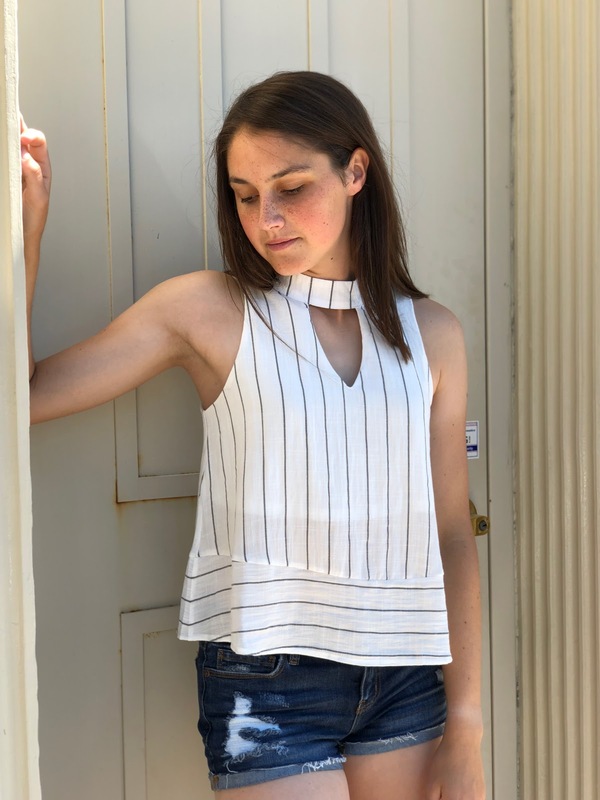 Summer is the perfect time for anything stripes because they are fun while still being cute and trendy; this striped combination is exactly that. 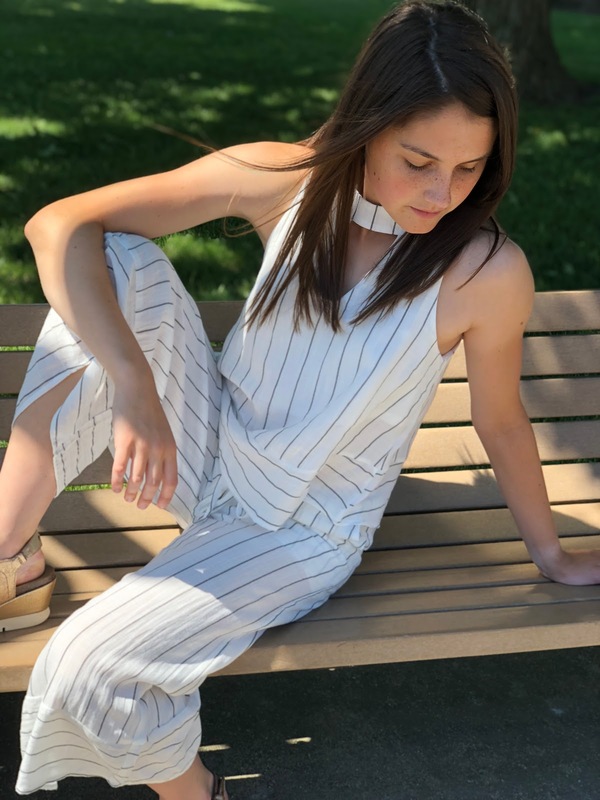 Its white color and light fabric give it the perfect summery vibe and the details give you the chance to put your own twist on the recent pantsuit trend. Even though these pieces look amazing together, they are also just as fantastic apart. Pair the outfit with a cute pair of wedges and some bracelets to easily complete the look. Welcome to Lucky Charlie, a local boutique found in Washington, IL. We were created last year with the goal of offering trendy, fashionable clothing to women everywhere that dare to be themselves in every situation. We see fashion as a way to say who you are without speaking and love creating outfits that portray that message. Join our journey by following this blog for outfit inspiration and by following us on Instagram @shopluckycharlie. Black is known as THE color in fashion. We all remember searching for the perfect little black dress or an awesome leather jacket. You just can't go wrong with it. The beauty of wearing black comes from how you accessorize it and the detail in the piece itself. It is the perfect opportunity to bring out fun shoes and colorful/metallic jewelry. Recently a new sassy, bold, and black shirt arrived at our store in Washington, IL. 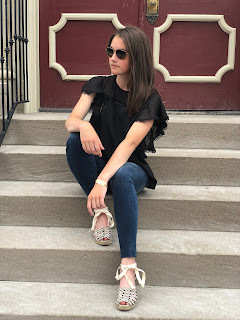 The ruffled sleeves make it cute enough for any date night and fun enough for any concert, especially when paired with jeans and heels. 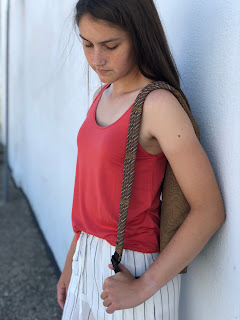 Anyone that lives in the midwest, especially Illinois, knows that the summer temperatures can be intense and accompanied by a little humidity. Oh I'm sorry did I say a little? I meant a lot. Sometimes the only way to deal with this nasty weather is to eat some ice cream and put on a summer dress. The dress shown below has tank top sleeves which make it perfect for the hot weather. It is casual enough to be worn with white sneakers but cute enough to be dressed up with a pair of sandals and a few necklaces. 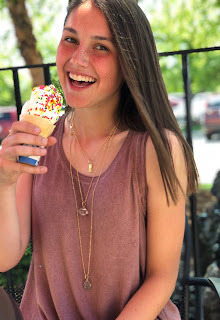 As for ice cream, I highly recommend a vanilla cone with sprinkles. But who am I kidding? When it comes to ice cream, any is better than none.